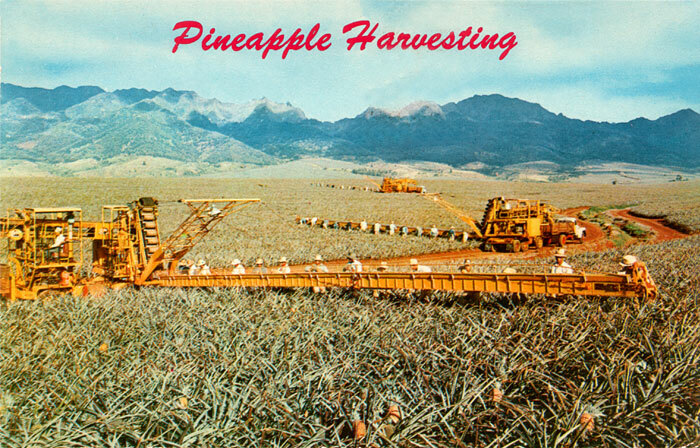 The mechanical harvesting machine which extends across the pineapple fields. Field hands walk behind the boom and handpick the ripe fruit selectively, place it on the arm, and a conveyer rolls it into the truck. 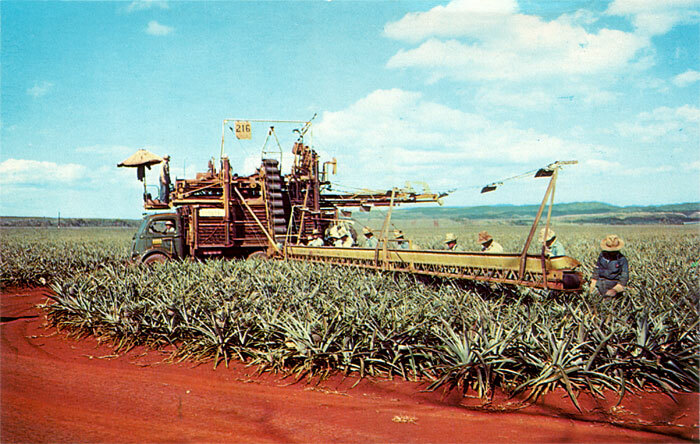 Note the rich red highly mineralized soil on which Hawaii’s second largest industry depends. 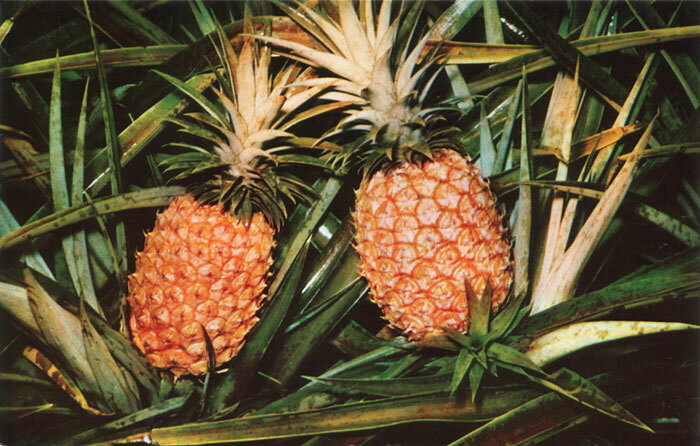 Sweet, delicious Hawaiian pineapples are grown on most of the Islands and one of Hawaii’s chief exports. 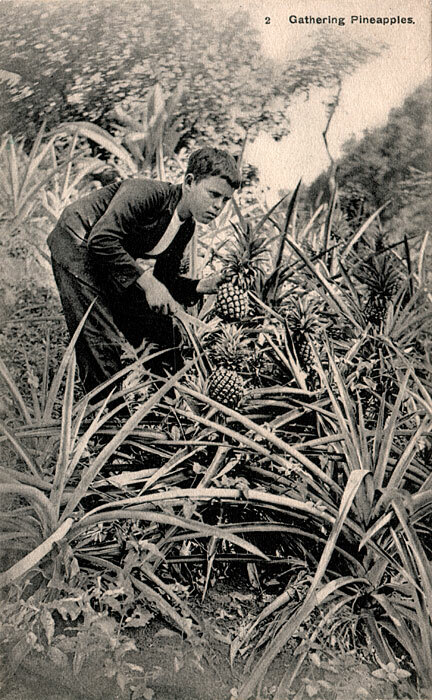 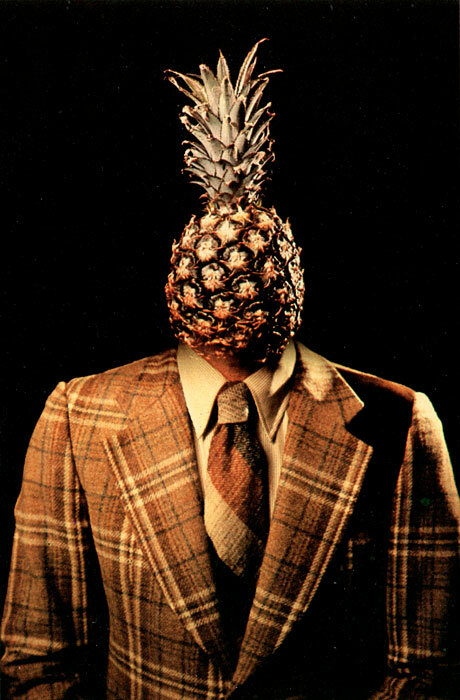 The pineapples ripen to full maturity in 18 to 20 months and are hand-picked for shipment to canneries for processing.